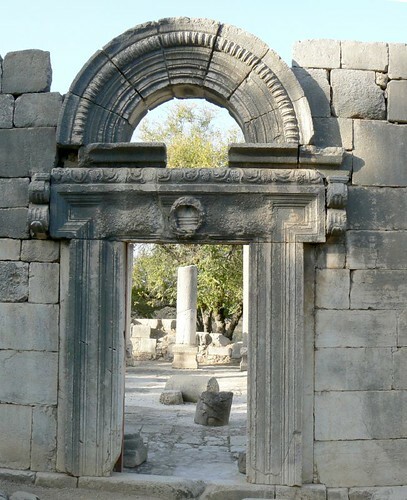 Baram was a prosperous village during the first to the seventh centuries AD. 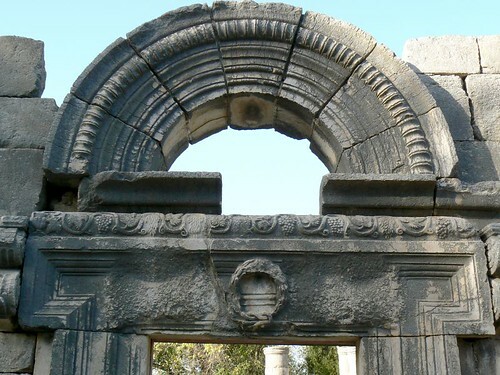 The remain of two ancient synagogues were discovered here: the “Large” synagogue with its richly carved bas-reliefs, and the “small” synagogue, with few remains. The “Large” synagogue was constructed from large and particularly beautiful hewn stones. The size of the building is evidence that a highly successful Jewish community lived in this area during the fourth and fifth centuries. The facade, which is preserved almost in its entirety, is especially remarkable. All three gates face Jerusalem and are decorated with exquisite stone engravings; the imposing center gate is especially ornate. Little remains from Baram’s second, smaller synagogue, apart form the lintel now on display at the Louvre.